Congratulations to senior Tyler Flannery who was named an Academic All-American by the National Forensics League. This is a first for a Cathedral Prep student! Congratulations to two of our Seniors for being awarded Advanced Degrees by the National Forensics League: Brian McCormack (Outstanding Distinction) and Tyler Flannery (Superior Distinction)! 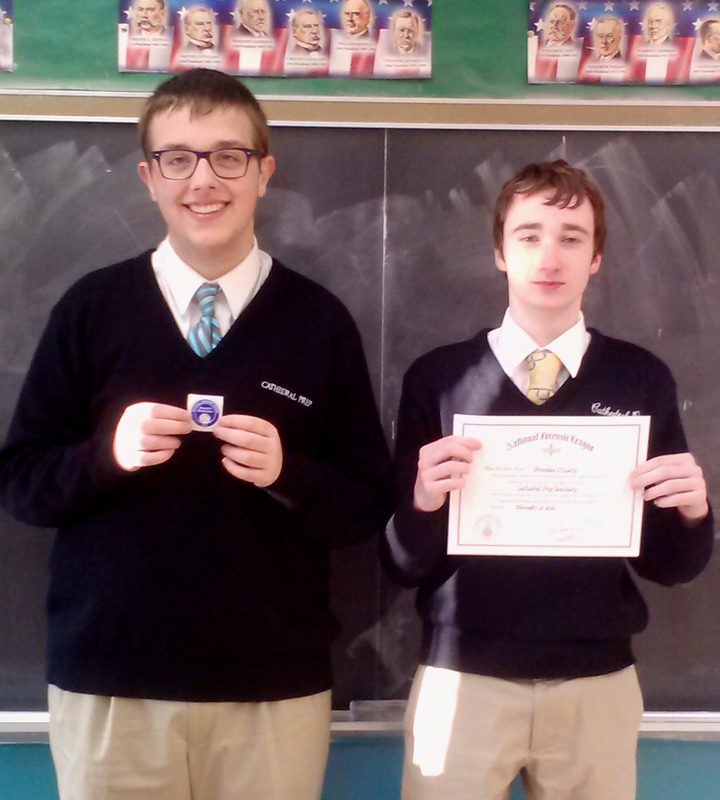 This season members of the Cathedral Prep team have been awarded 31 degrees by the National Forensics League. Sophomore Jonathan Oscategui and Junior Brendan O’Leary became members of the National Forensics League. Seniors Max Bogusz, Mark Boodram and Brian McCormack were awarded Degrees of Special Distinction and Senior Tyler Flannery was awarded a Degree of Superior Distinction. 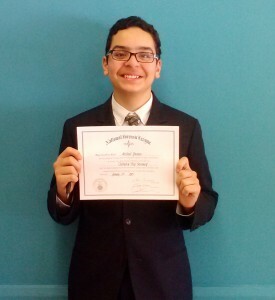 Congratulations to sophomore Michael Younan on becoming a member of the National Forensics League! Sophomore Michael Younan – member of the National Forensics League!